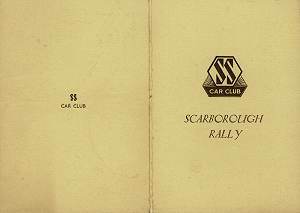 An original and probably unique SS Car Club small folder for the 1936 Scarborough Rally over 26-29th June in mint condition. 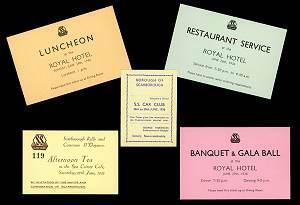 It still contains two complete sets of the five original invitation cards for the events that took place over the weekend. 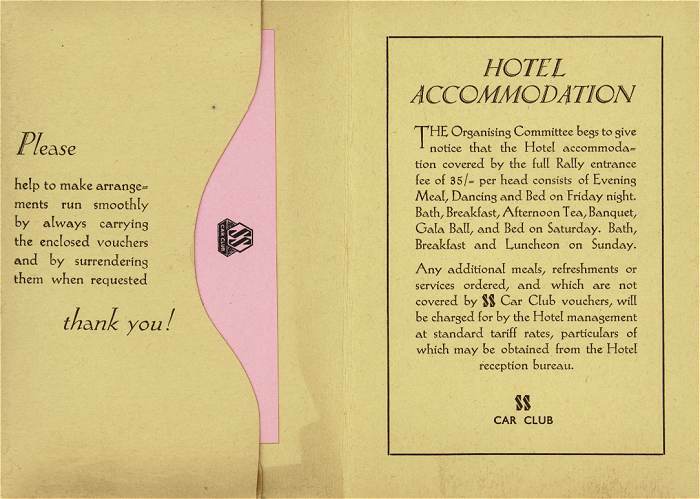 For 35/- (about L1.75/$3) the attendees had nearly three days of entertainent laid on!